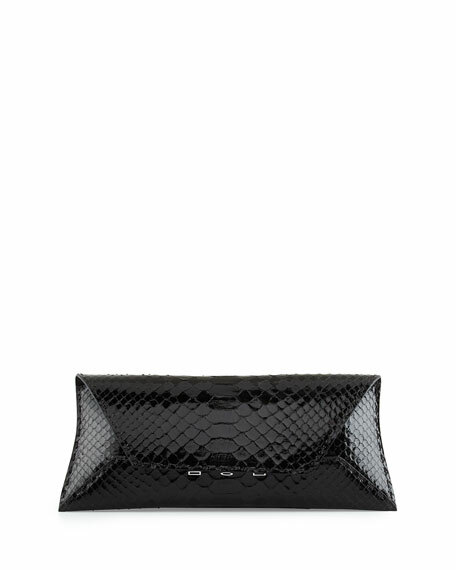 VBH "Manila" stretch python clutch bag. Flap top with logo studs. 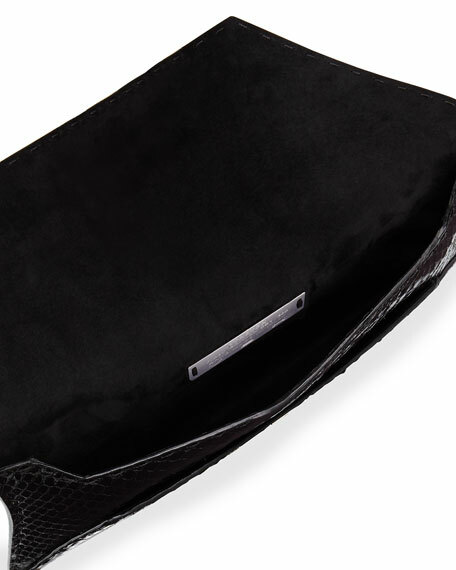 4.8"H x 11.8"W x 0.8"D.
The luxurious VBH line of handbags are produced exclusively in Italy using the finest materials and craftsmanship. These contemporary designs are individually handcrafted, and no detail is overlooked in their creation. 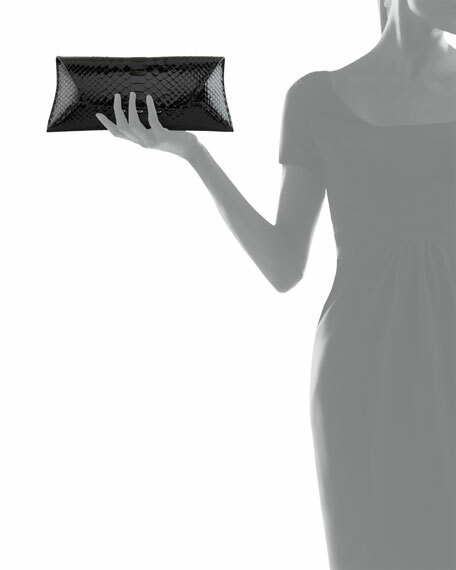 In fact, each bag has a limited-edition number engraved on a plaque inside. For in-store inquiries, use sku #862229.